The Game Awards are almost here and it’s time to get excited. While we await to see what games will get revealed and which nominees will win their respective categories, I’ve put together the list of this years nominations and added my predictions of the outcome. Before we go over the current nominee lineup, did you hear that we might be seeing the reveal of Crash Team Racing? Fans have been asking for CTR remastered, for sometime now. Personalities in the video game industry have been receiving giant orange rearview mirror dice, delivered to their door. It seems like the type of rumor/speculation that you can be confident in. No grain of salt needed. I surely hope this happens. Do you? Rumors that Ubisoft will be announcing a new Far Cry title that will be a post-apocalyptic spin-off of the series, have been going around the web as of late. Also, we could be seeing the announcement of Dragon Age 4, during the show. The show is certainly going to be entertaining with some great announcements, even if these rumors don’t pan out. Moving onto the nominees for the 2018 Video Game Awards, here are my predictions to follow. Be sure to share your predictions in the comments! This is a tough choice. I have a feeling that Read Dead Redemption 2, will take this category, but it could also go to GoW, Spider-Man or Monster Hunter. I don’t think Celeste nor AC-Odyssey really stack up against the other titles. Honestly, I think Far Cry 5 should take this category, but I have a feeling that BO4 will win it. Another tough one. I want to give this to Spider-Man. While I thoroughly love all the other titles, Spider-Man takes it. At least for me. I actually only played the first three titles and did not try the last 2. I am positive that Monster Hunter: World, will be the winner. I will be surprised if I get this one wrong. A Way Out is probably going to win this category. I could see Detroit or GoW winning, but A Way Out feels right to me. Detroit: Becoming Human is the likely winner, in my opinion. God of War has a really great story though. I actually prefer all the other narratives on the list more than I do Detroit, but this isn't about my preference, it's about the Video Game Awards. I have a feeling that Fortnite will be walking away the winner, but I feel like Overwatch deserves it. NMS has come a long way since it stumbled out of the gates, but I just don’t see it happening. I am leaning toward God of War for this one. AC and Red Dead also look amazing, so this could be any of those 3 titles. I don’t think Octopatch or Obra Dinn will win over the other 3. Rack up another win for Red Dead Redemption 2. I think Spider-Man could possibly take it, but we will see. I feel like this is down to Forza and BO4. I’m going to say BO4 will take it, but I won’t surprised if Forza wins it either. I believe Celeste will win this category, simply based on the fact that Celeste is also nominated for Game of the Year. I’m going to throw God of War another bone here. Honestly, I find it difficult to even choose a possible winner. All their performances were excellent . I’m gunning for Life is Strange 2. I’m not really sure why, but I think LIS2, is a dead ringer. Am I psychic? No, but thats aside from the point. Donut Country is already game of the year on Apple's App store, so I’m going to guess the trend will continue on The Game Awards. VR fans love both Beat Saber and Tetris Effect. I think Tetris will be the overall winner in this one. Soul Caliber VI will take the win here. DBZ might come out on top, but I don’t think so. Super Mario Party has a strong chance to take the win. I think Starlink has a shot, but Mario Party will probably overshadow Starlink in this category. I can’t imagine that FIFA 19 will lose in this category. I’m sure FIFA takes it. Black Ops $ should take this title, but I wouldn’t be surprised of Fortnite wins it. I would hate that, but wouldn't be surprised. It’s gotta be Moss. I would be shocked to see any of these other titles win it. Overwatch will win this one. I can’t explain it, but I just think Overwatch will take the cake and eat it too! I don’t even have input on this category… I don’t know any of these players listed. I’m in a toss up between Fnatic and OG. I wanna throw it toward OG. Same dilemma I had with the “best esports player” category. Not a clue who these guys are. I think ELEAGUE Major will win the category. League of Legends was my first thought. It’s gotta be Alex “Machine” Richardson. Hands down, its the Machine! C9’s comeback win, was pretty amazing. The C9 win is surely the winner here. At least in my eyes. I’m guessing that Ninja, wins this one. His popularity continues to grow. I’m not a fan, but kudos to him. This isn’t even close to a toss up for me. I think the Hideo Kojima and Guillermo del Toro moment, will definitely win. There we have it. All of this year's nominees. I am sure we are in for some real treats this year. 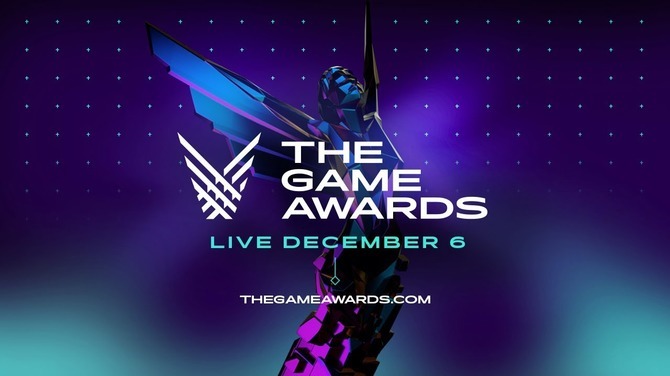 The Game Awards start at 8:30 p.m. EST, 5:30 PAC, on December 6th. Will you be watching or possibly even be there?